world in 2016, please click here. At the end of September, I joined dozens of volunteers, supporters. 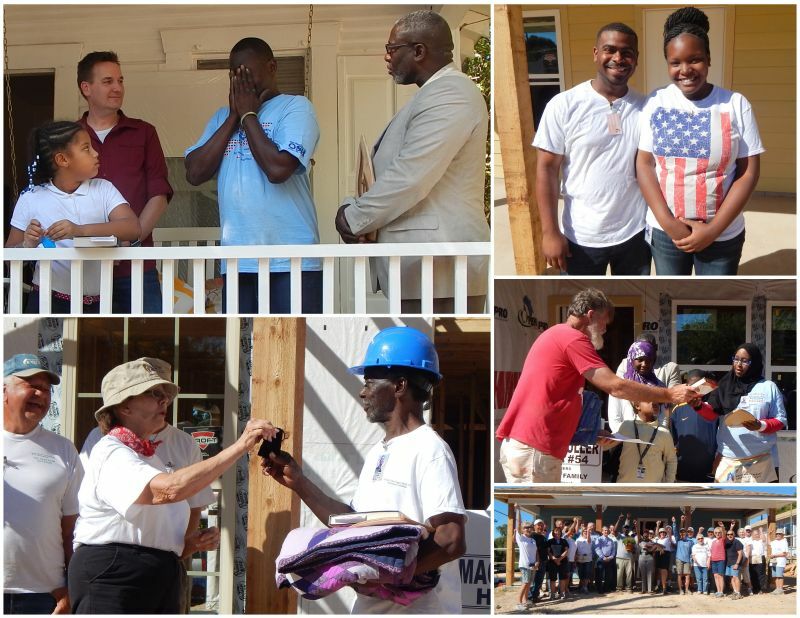 local leaders and homeowners in Shreveport, Lousiana, for the 2015 Millard Fuller Legacy Build, an annual event that celebrates the legacy of The Fuller Center for Housing’s founder, a man who dedicated his life to eradicating poverty housing around the world. On the final day of the build as we dedicated four new houses, a rehabbed home and even a side project getting the badly needed Fuller Grocery ready to open in this food desert, I thought of how I could look around from the middle of this build in the heart of the neighborhood known as Allendale and see everything this ministry is about and how your support changes lives. Roderick and Quinetta Carter, a hard-working young couple two years into their marriage, were excited about the prospect of welcoming their first child in March and building a family in Allendale. Studies show that children who grow up in a decent home — as the Carters’ children will — are happier, healthier and do better in school. You are laying a solid foundation for families and children to succeed. Next door, Lytonja Smith was handed a signed Bible at the end of the week as we do at all of our home dedications. A devout Muslim, she was grateful and thanked everyone for the gifts she had. She spoke of how "we are all one people," and expressed love for her many new Christian friends who worked alongside her and her children all week long. When you share God’s love, you build bridges and bring people together. On the other side of the Carter home, we dedicated a home for Vietnam veteran Robert McDuffy. Life hasn’t been easy for Mr. McDuffy since he returned from the war, but he has worked hard to support himself. 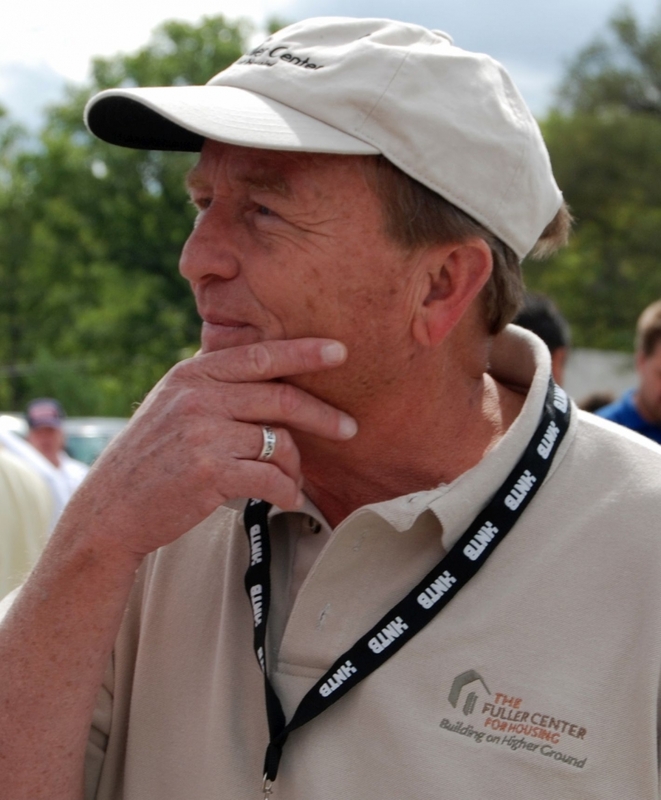 In fact, he worked three janitorial jobs during the same week he also worked alongside us on his home. We asked him when he’d finally get a day off to rest. He responded, "I don’t get days off." When you support The Fuller Center, you offer a hand-up instead of a handout to people who deserve a little help and are willing to work for it. Two doors down, we dedicated a home for Suzanne and James Richardson, who look forward to watching their grandchildren play and spending their golden years in Allendale — a neighborhood Suzanne worked so hard to escape and one in which James said he would have never considered living. But 10 years ago, Millard Fuller answered a plea to help Shreveport with a housing crisis. The police thanked him for coming but said not to work in Allendale. They said it was too dangerous and beyond hope. Of course, that’s exactly where Millard decided to start working. Now, 48 new homes and dozens of repair projects later, Allendale’s major crime rate has fallen 80 percent. Children play where shootings and drug deals were one the norm. Streets once lined with vacant shacks now have beautiful homes filled with residents who care about the community. Pride has been restored, and Allendale is now a neighborhood of choice. You are not just building homes and strengthening families — you are also stabilizing entire communities and restoring hope to everyone in the area. Of course, that’s just Shreveport. I could go on about how this scenario has been repeated in neighborhoods of Indianapolis and Louisville; how you’ve lifted people out of a cycle of dependency in Haiti; how you’ve turned a poor Nicaraguan fishing village into a thriving, healthy community; how you’ve protected Nepali families from the recent earthquake and are protecting more from future earthquakes. Whether you’re funding a wheelchair ramp in Georgia, a solid roof in Ohio or a new home in Armenia, you’re changing lives. So, thank you for your support of our ministry and for helping us be the hands of God throughout the world. We look forward to continuing to build a better world, one house at a time. have simple, decent places to live!